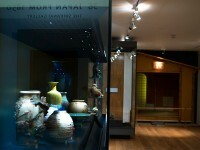 Explore the major technical and creative developments in arts and crafts of Japan after 1850 and visit the Ashmolean's tea house. Purchased with the assistance of the Story Fund, 1994. Decorative technique in which wires are attached to a metal body and coloured enamels are applied between the wires. Baluster vase in silver, shibuichi, and cloisonné enamel. The neck in silver with petal-shapes on the shoulder, the body decorated with tree peonies in relief in cloisonné enamel. Engraved signature on exterior: Hōryūsai Kōichi with gold inlaid kakihan and on the base: Takasaki Seizō. Details of the life of Takasaki Kōichi, appear to be unknown; however there exists a groups of vases, usually of bronze and silver, and encrusted with shippō (cloisonné) inlays in which there is a silver neck that either simulates dripping of a liquid over the bronze or fuses into the bronze in a careful pattern, some of which are signed Takasaki Kōichi or Hōryūsai Kōichi (as here), which can all be attributed to Kōichi. 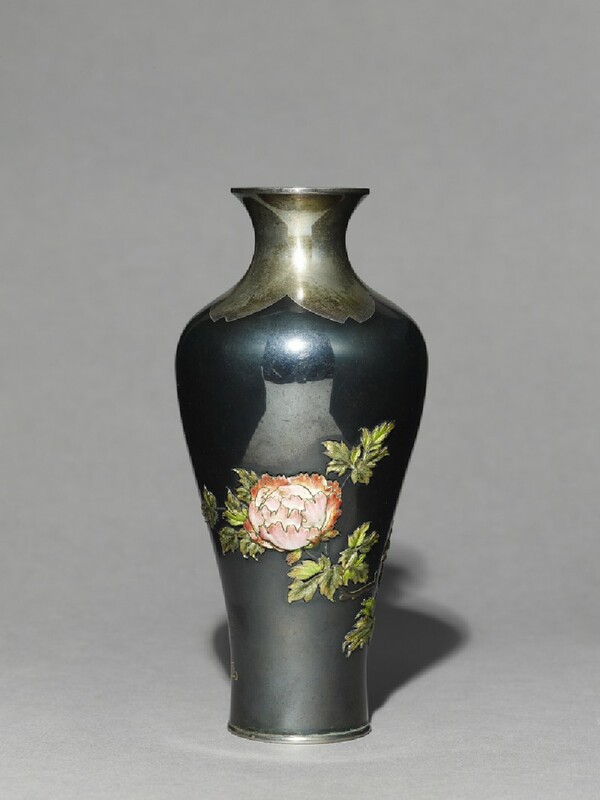 In the Paris Exposition of 1900, Takasaki Kōichi exhibited a pair of silver vases decorated with peonies and poppies in cloisonné enamel.